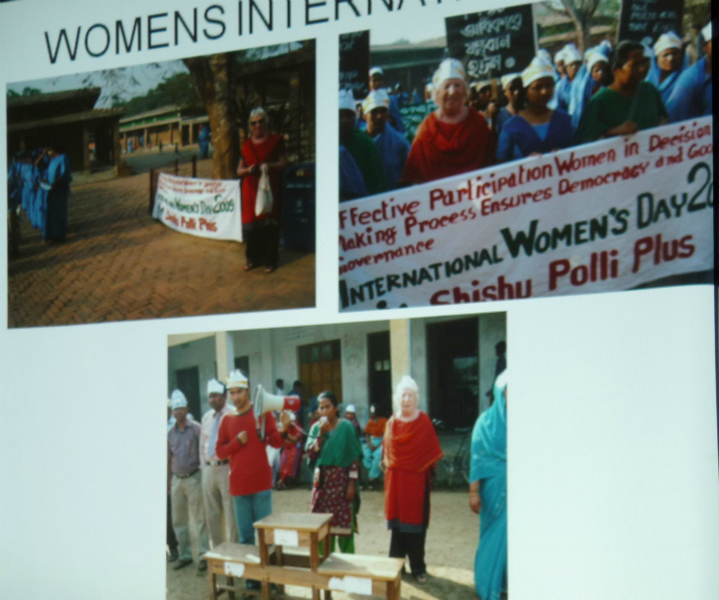 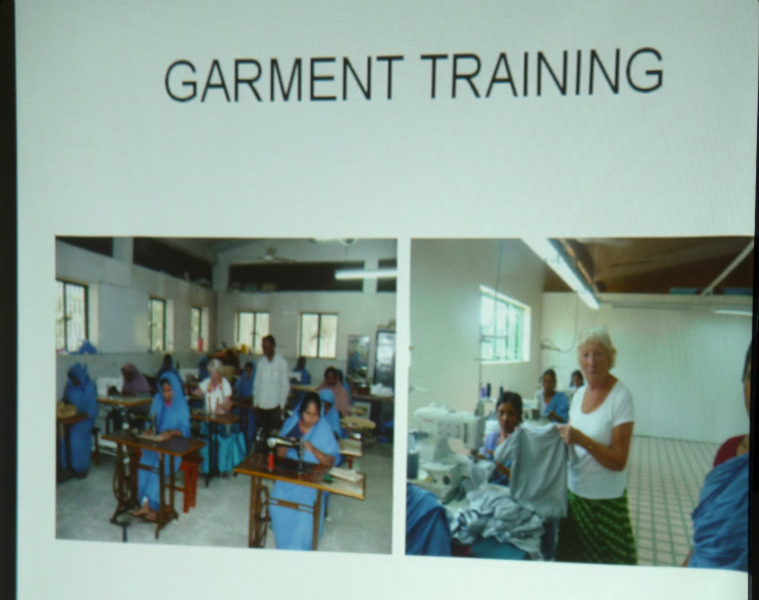 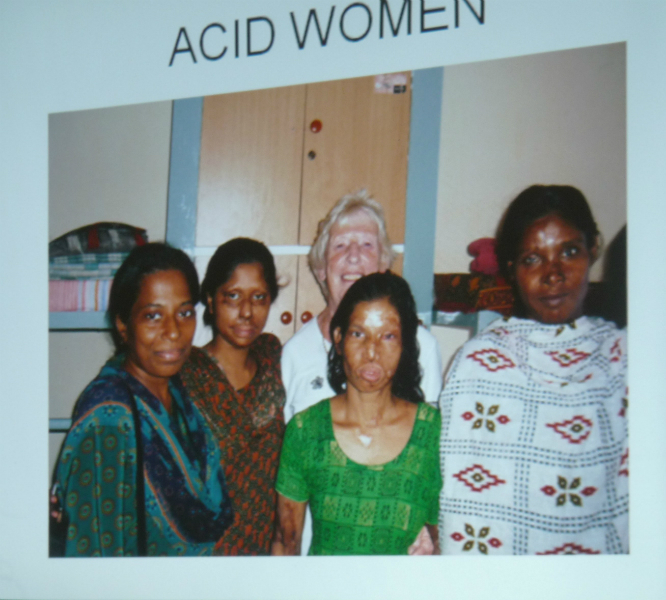 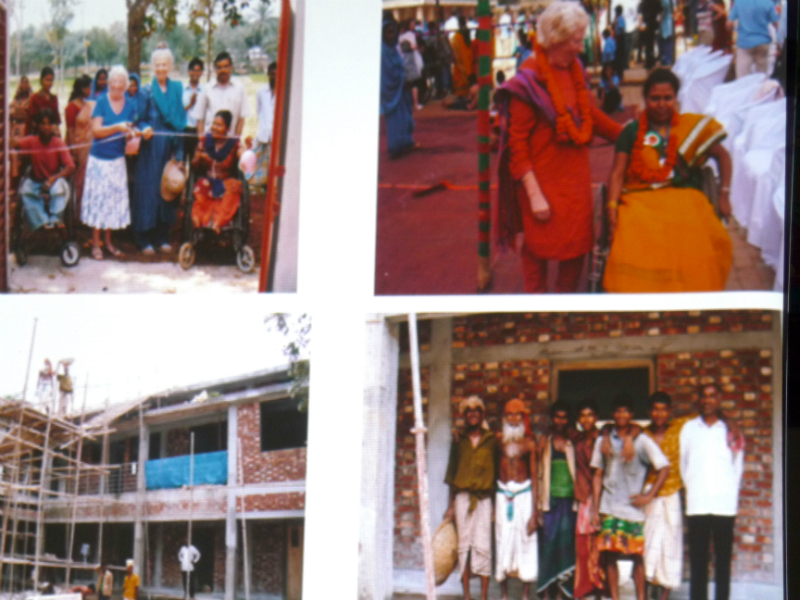 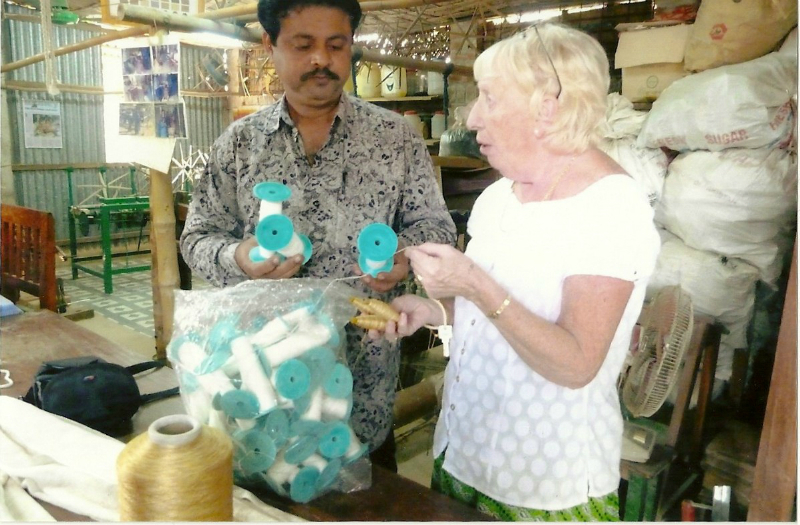 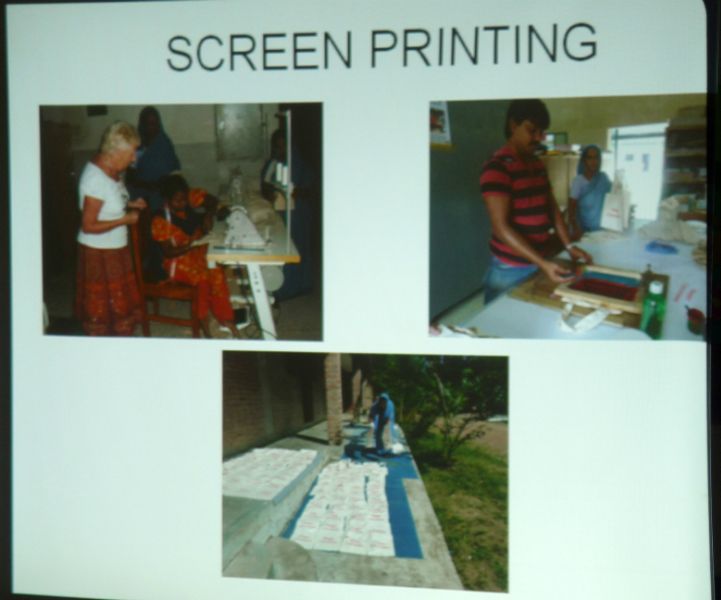 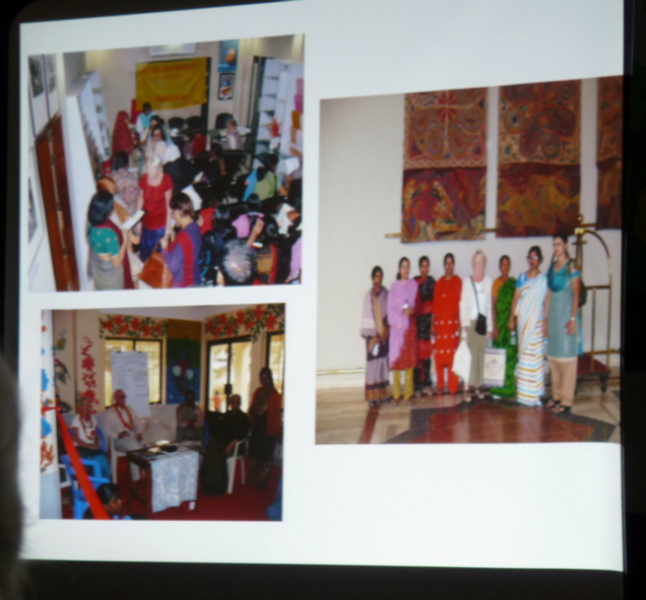 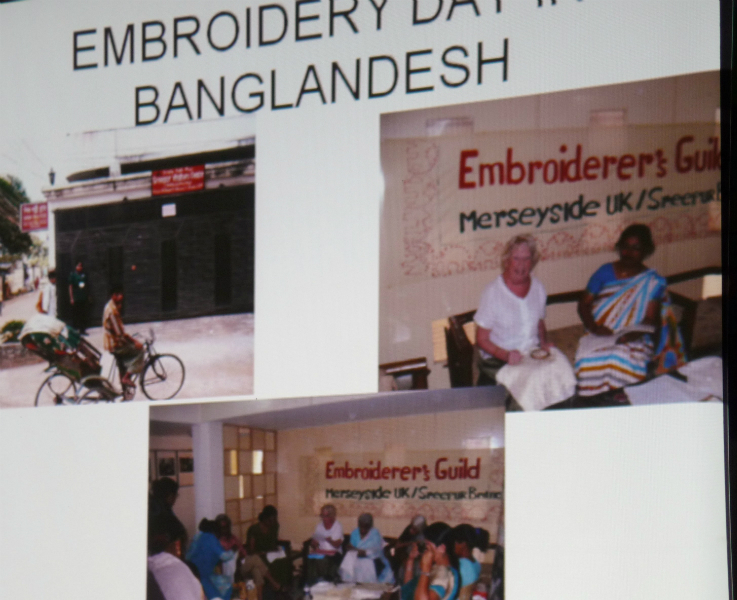 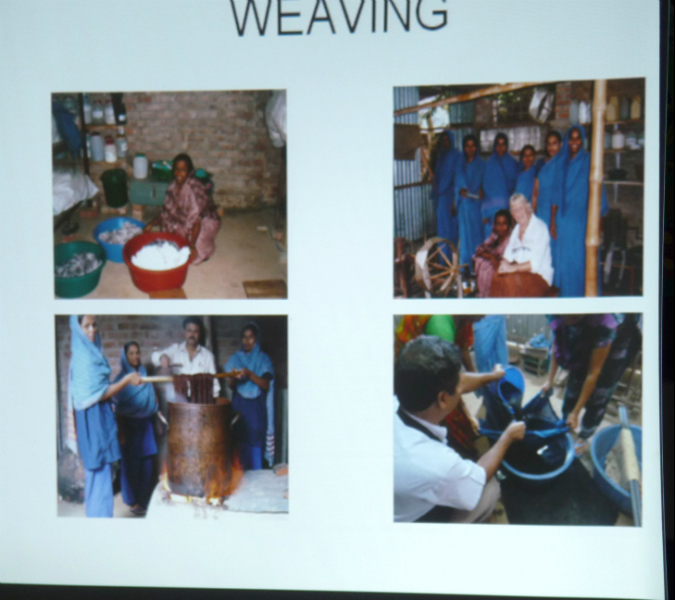 Ruby Porter MBE visited Sreepur in March 2012. 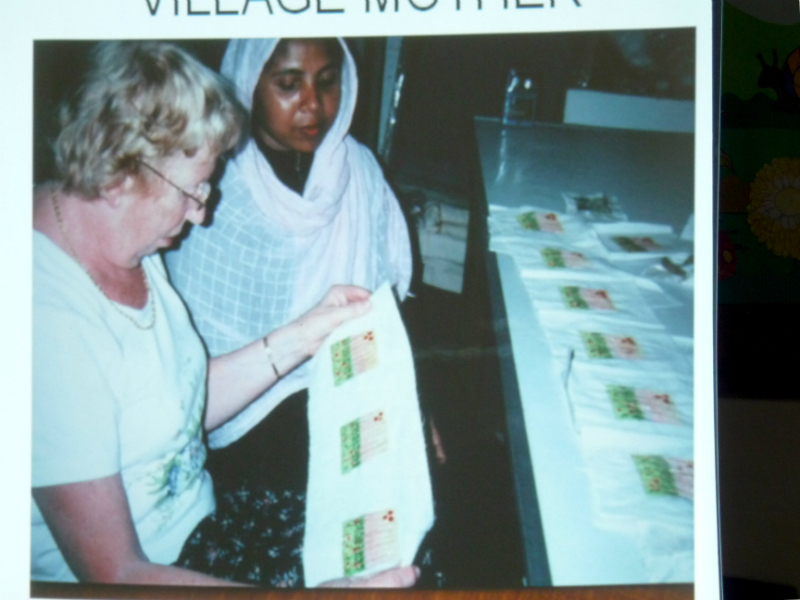 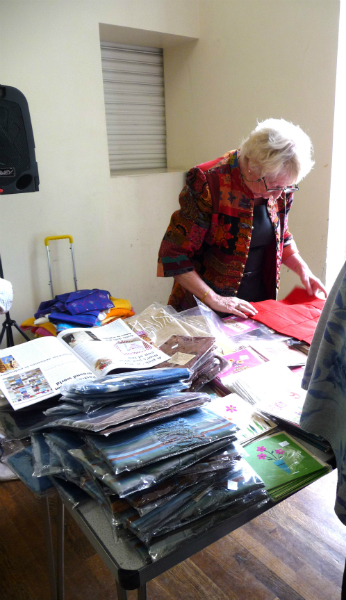 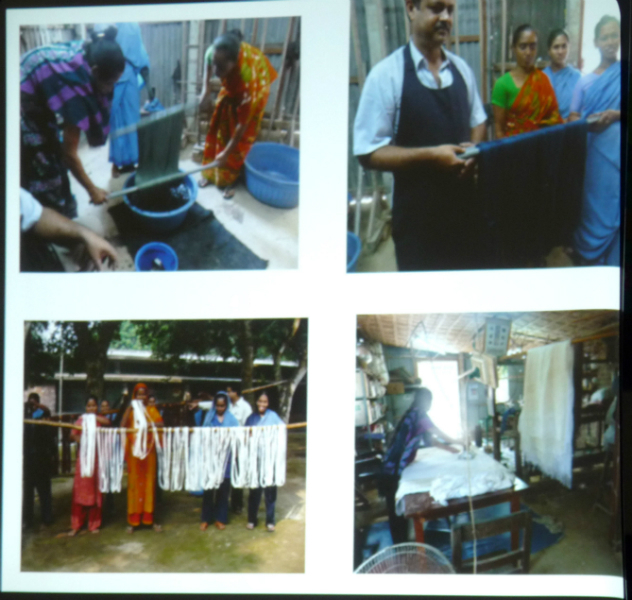 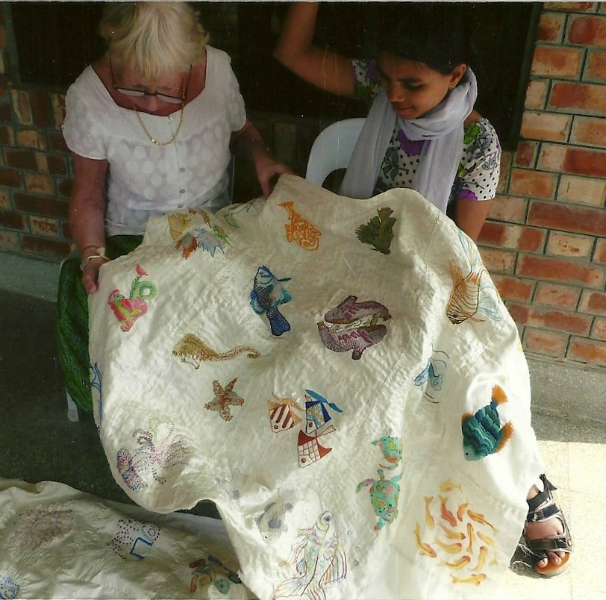 She has brought home some photographs of her time there, working on our “Fish” kantha hanging with Shabita.The hanging will be displayed in Liverpool Anglican Cathedral during June 2012. 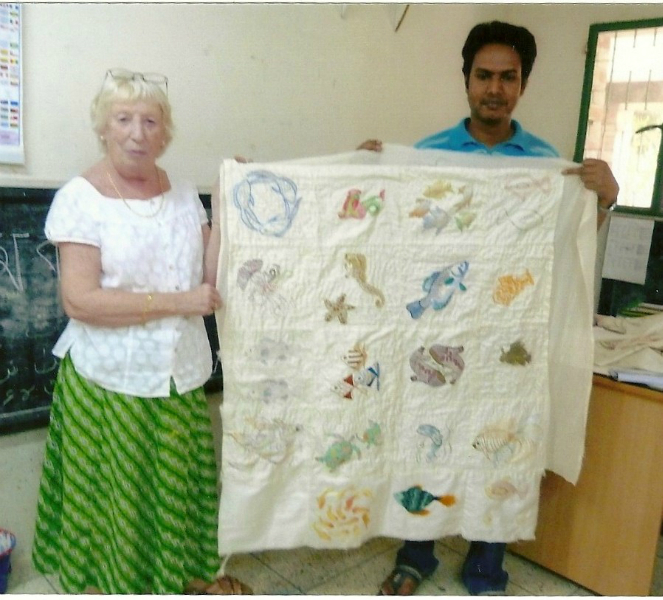 Art teacher Mr Salime is also shown along with our “Fish” kantha. 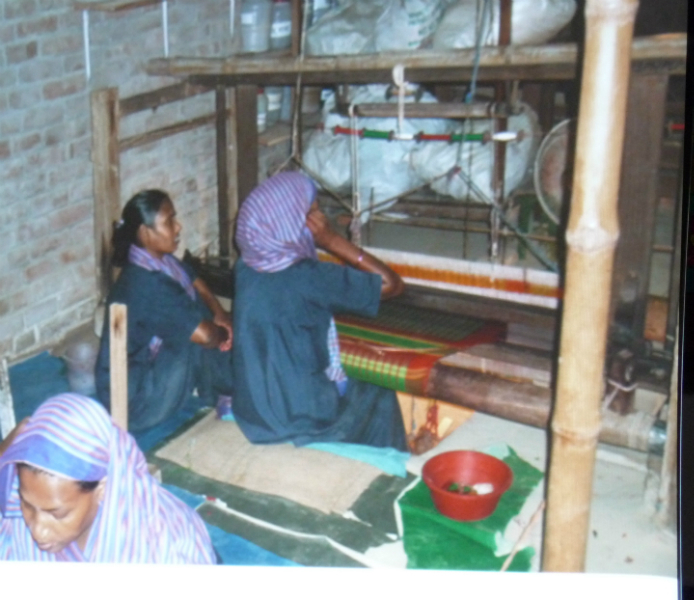 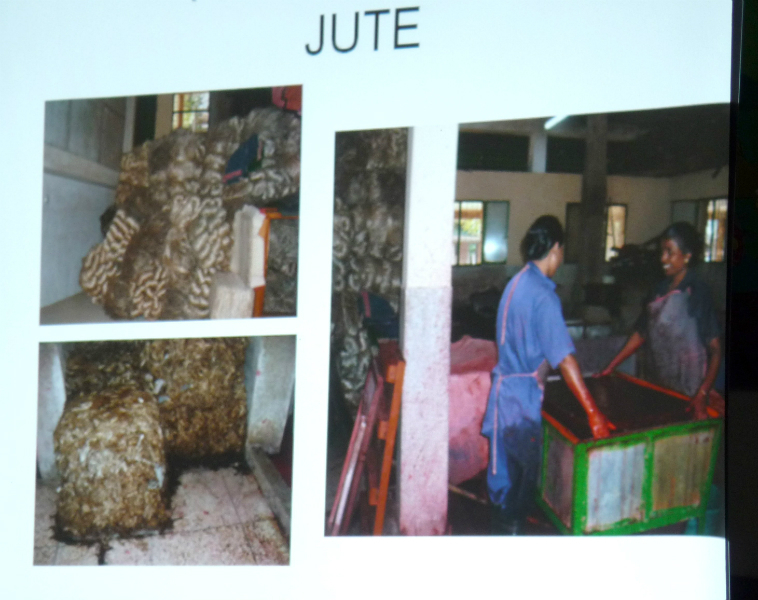 Ruby is also in the weaving section with Rafiqul working on new scarves in wool and Jute. 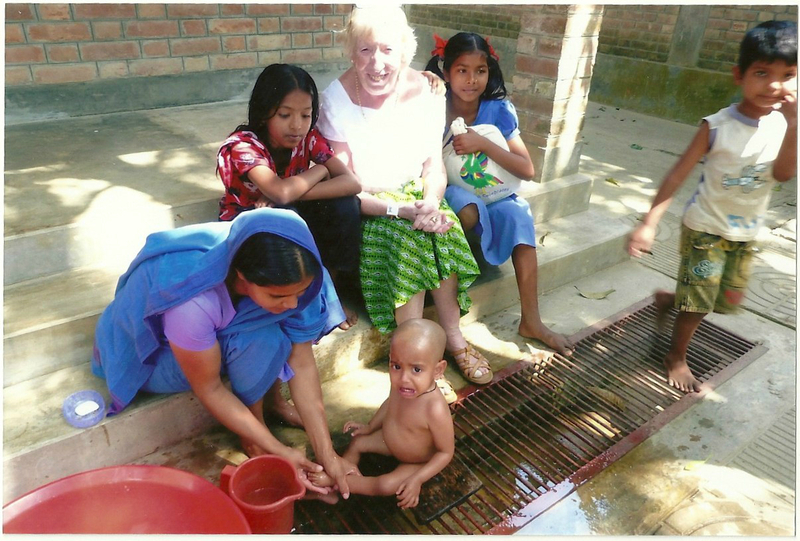 They are lovely and warm for the UK. 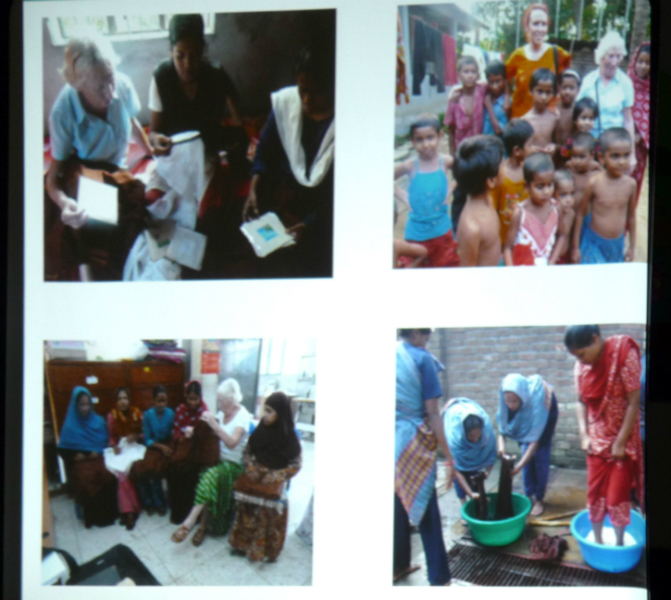 There is a photo of new mum age 14 with her 6 week old baby born on the street in Dhaka. 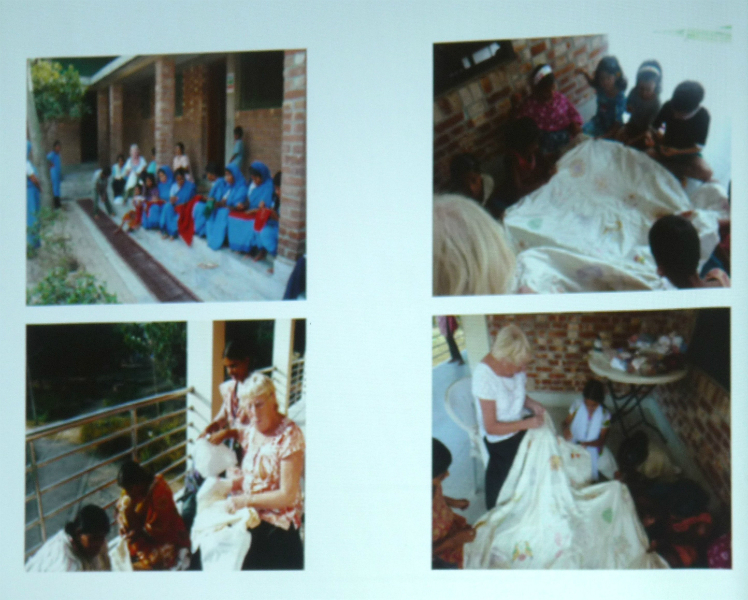 She is now doing embroidery with the other mothers.You can also view our baby getting washed outside the baby house at Sreepur. 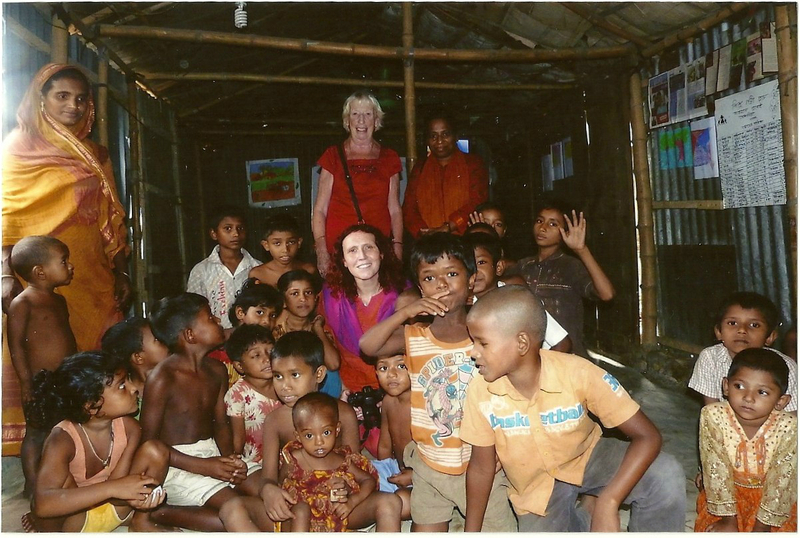 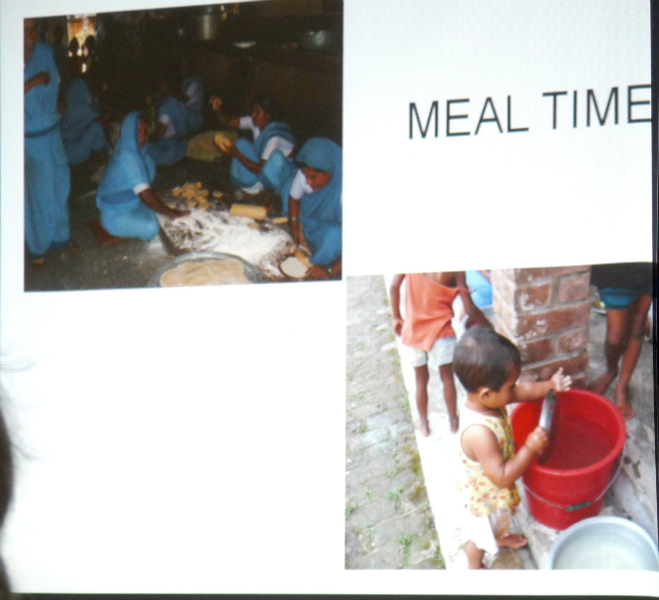 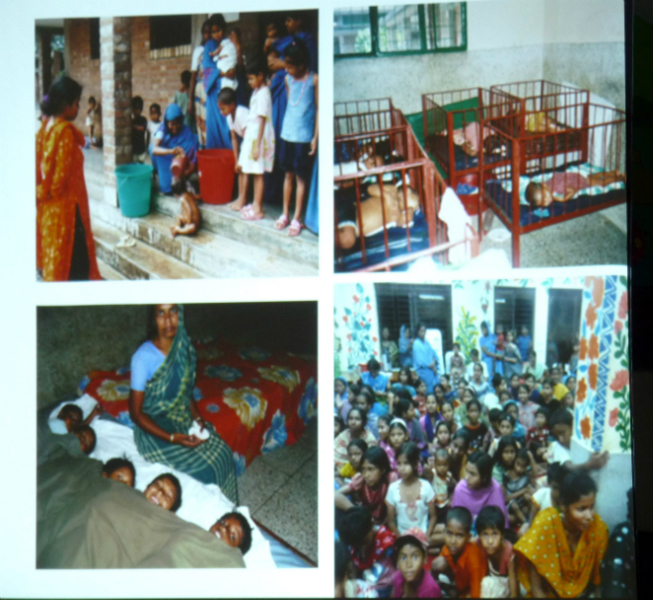 There are also pictures of the Charity’s new project in a slum about 5 miles from Dhaka working with street children. 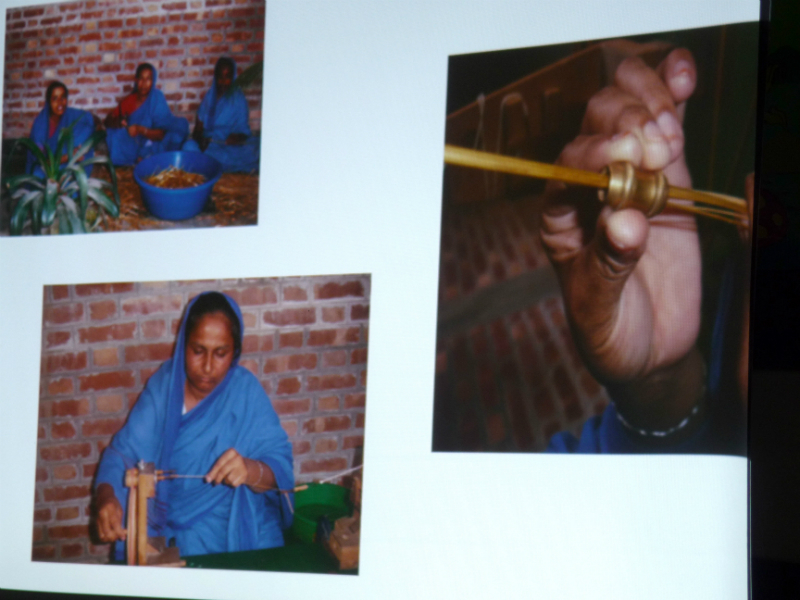 We rent this reed hut during the day. 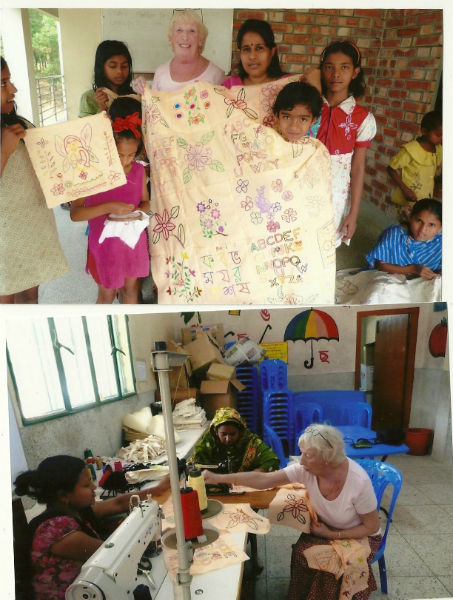 We have 3 of our ex- children, who were street children, running this project.This is one of two new projects- we hope to open another drop in center by the airport soon. 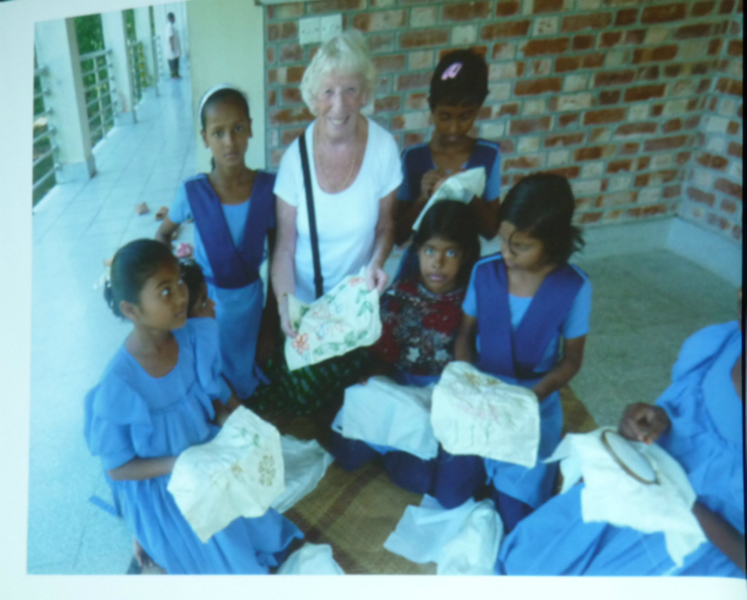 I am with Janette in October 2011 it is going well I visited again a few weeks ago.